Die Entsperrung HTC One (M8) mit einem Code ist sehr einfach. Das ist auch eine einzige und sichere invasionsfreie Methode um SIMLOCK zu entfernen. Der Code zur Entsperrung eines HTC One (M8) Telefons kann man nur aufgrund der IMEI-Nummer erhalten. Diese erscheint nach Tastatureingabe von *#06# oder nach dem Herausnehmen des Akkus. Die IMEI-Nummer befindet sich auf einem Informations-Klebezettel, wie auf diesem Bild zu sehen ist. Sehr schnelle Erstellung des Simlock-Entsperrungcodes. 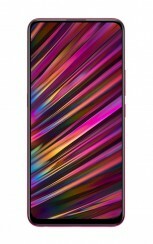 Wie kann man Code in das HTC One (M8) Telefon eingeben? Ist es möglich, HTC One (M8) kostenlos zu entsperren? 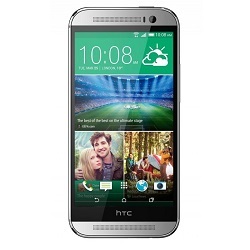 Im Web finden wir viele Rechner, die Code generieren HTC One (M8) zu entsperren. Leider wird dieser Code nicht funktioniert, weil nur der Code vom Hersteller kommt, kann die Sperre von HTC One (M8) entfernen. Die Codes werden auf Basis von IMEI erzeugt. Excellent service. Code received within 5 minutes and worked with no problems. Thank you. Exelente servicio, lo volveria a usar y lo recomiendo. Trust me, this is not a scam. You'll unlock your phone in less than 10 mins. Thank you sim-unlock for the great and quick service. This service worked perfectly. Thanks to you guys for doing a great job. Passed the test, better than the rest. Got my phone unlocked in grand fashion. Great service highly recommended works very well. This is brilliant love it will highly recommended thank you. très rapide et fiable le service; j'aime bien faire me déblocages ici car même en cas d'échec le remboursement est rapide. Bardzo szybka i sprawna us³uga. Ok. 10 min. Perfect, code came through in less than ten minutes. Worked perfectly. My old HTC M8 now being used by my girlfriends daughter who had broken her own phone. Brilliant, delivered in 5 minutes and worked first time. Thanks. HTC One (M8) odblokowany w 10 minut. Pozdrawiam i polecam. worked like a charm as well very quick and cheap would recommend. I was expected to wait up to 12 days for my old provider to unlock me. I found this website and at the beginning I was rather suspicious about it all but gave it a go after reading the reviews. It really works and I only waited a few minutes. Fantastic, quick service, I highly recommend.